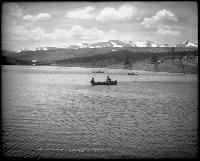 Historic and contemporary photo collections - A listing of the numerous photos available on the BASIN www site. Local authors and publications on local themes - contributions from local authors available on BASIN. Learning activities and online tutorials - tutorial material available thoughout BASIN. Index of photos from COB data collection procedures. WatershED Learning Activitiescustomized for the Boulder-area. Fifth Grade Curriculum designed by Kenneth Nova specifically for 5th grade students. Links to water-related sites for kids on the WWW compiled by Toni. Waterwise Quizzes: Test Your H2O IQ...but you'd better know the Boulder area to get the right answers! Don't forget these other resources within BASIN as tools to learn more about the region. Spatial Environmental Data Catalog - Creek watershed environmental data from BASIN partners and other www sites. Excerpts from Joanna Sampson's new book on South Boulder Creek: High, Wild and Handsome. Essays on Sustainability by local authors Al Bartlett and Pete Palmer provide insight into the complexities and challenges of sustainable communities. Several schools in the Boulder area are part of the Division of Wildlife's Water Watch program. Sojourner School and BASIN produced a television program about Boulder Creek Find out more about the project and when it will air. Mine and Mill Site Maps from Boulder County Health Department provide an overview of where these sites are within the watershed and background on their history. Also use the BASIN Bibliography to locate additional mine and mill reports. Storm Water Demonstration Project: The Environmental Center of the Rockies building at Broadway and Baseline in Boulder is attempting to minimize the impact from polluted storm runoff by capturing the water on site with a miniature wetland. The Boulder area, specifically the Boulder Creek Watershed formed by Boulder Creek and its tributaries, is a spectaular region of rugged mountains, deep canyons and sweeping plains. Some 150,000 people now live in this region, and thousands more work and visit here. The BASIN Library offers a variety of images, ideas, information that can inspire us to take a fresh look at where and how we live. These various perspectives on where we live and who we are can enrich our own direct experience and sense of this magnificent place, offering a deeper level of appreciation and undersanding. We gratefully acknowledge the Denver Public Library's Western History Department for allowing us to share photographs of the Boulder area to you through BASIN. For more on the copyright restrictions of these photographs, click here.